There are countless horse-themed games on the Play Store, ranging from somewhat strange to extremely bizarre. One game in this category is HorseWorld 3D, which as you can imagine, is a 3D game starring horses. The game is temporarily free on the Google Play Store, down from a price of $5.99. 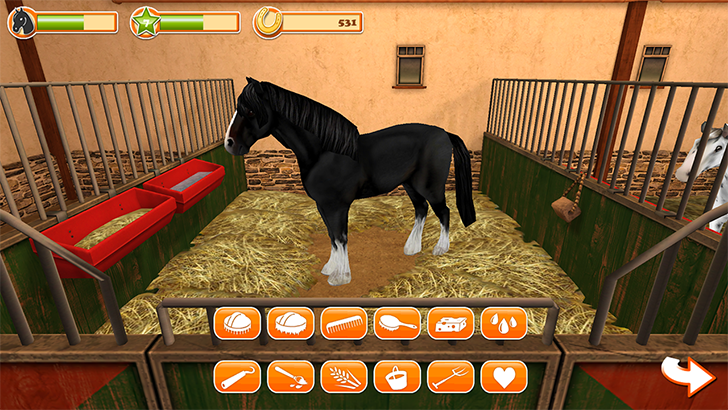 This game is primarily centered around caring for a virtual horse - cleaning, replacing straw in the stall, etc. There are also a few racing mini-games you can play when you get bored of that. Finally, you can collect horseshoes as awards, which can then be used to purchase accessories for your furry friend. You can download it from the handy dandy widget below, and keep in mind that the sale is for today only.